As the world’s attention increasingly focuses on the impacts of armed conflict on African women and girls, we consider what we can learn from organizations in the field. Isis-WICCE, a Kampala-based international organization and AIR Steering Committee member, has been in the midst of this work for over two decades. 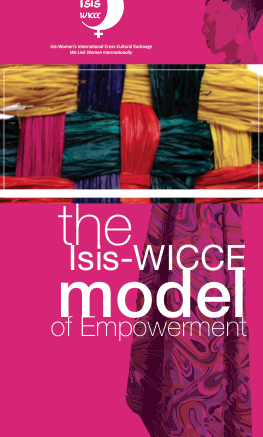 In Isis-WICCE’s model of empowerment, the organisation tells its own story of its pioneering model for holistic intervention that keeps the women and girls most affected at the heart of response. “In all [Uganda, Liberia, South Sudan and Nepal], it was vividly clear that the mainstream peacemaking architecture has continued to isolate the reconstruction of women’s bodies as part of the peacemaking process. They were thus, not realizing the fundamental mistakes resulting from the mainstream peacemaking architecture given that wars shred the social fabric, destroyed the economies and weakened the political systems. Women play a critical role in all these components. Isis-WICCE’s Model of Empowerment (2013) was produced as part of AIR’s Generate and Build programming. Read the full text of in the AIR Resource Library here .